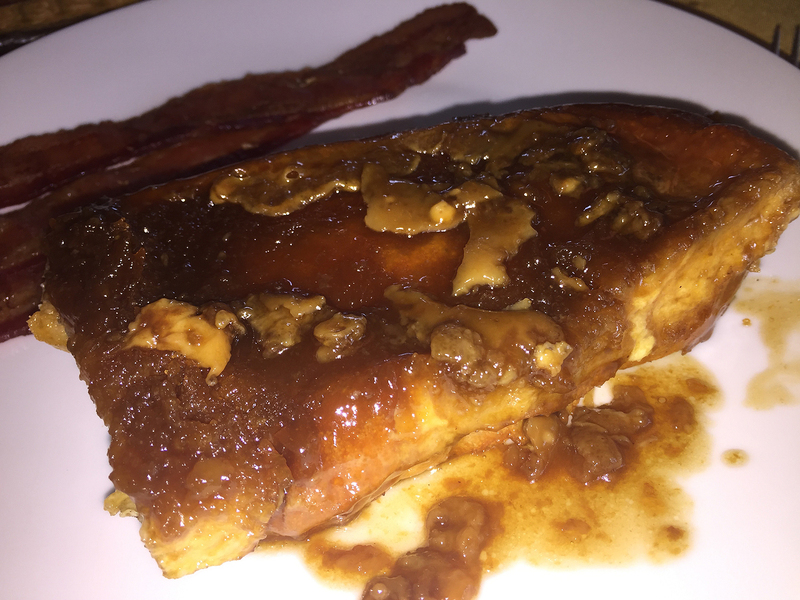 Ooey, gooey goodness! Russ first came across this recipe in Gourmet Magazine in 1998. He’s been making it for his children (now adults in their twenties) almost every Christmas morning since, much to their delight! 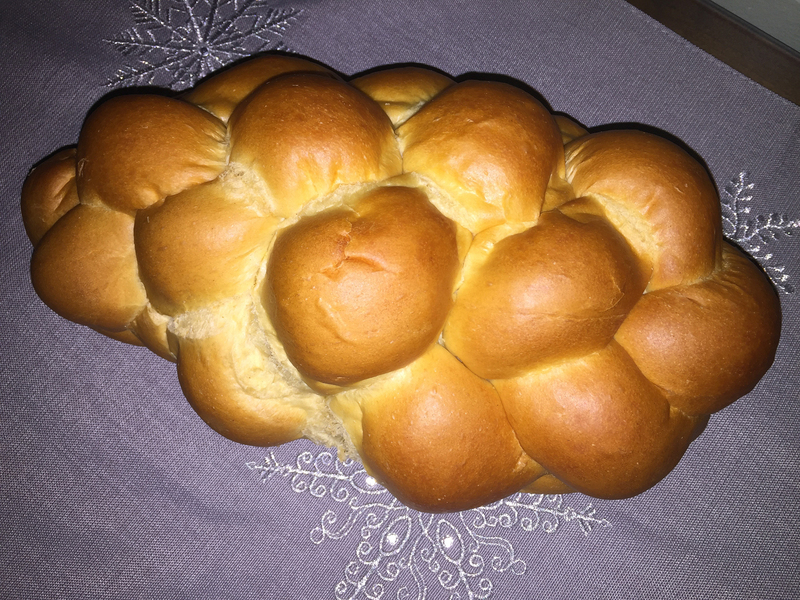 1 braided Challah loaf, about 14 oz. The braided Challah loaf is sliced and arranged on a rack to dry out. 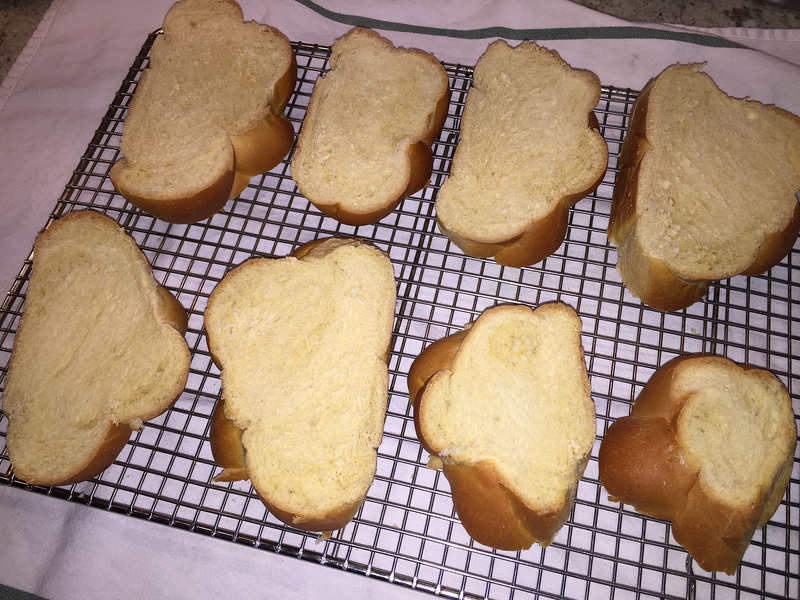 Preparing the “topping” for the french toast. 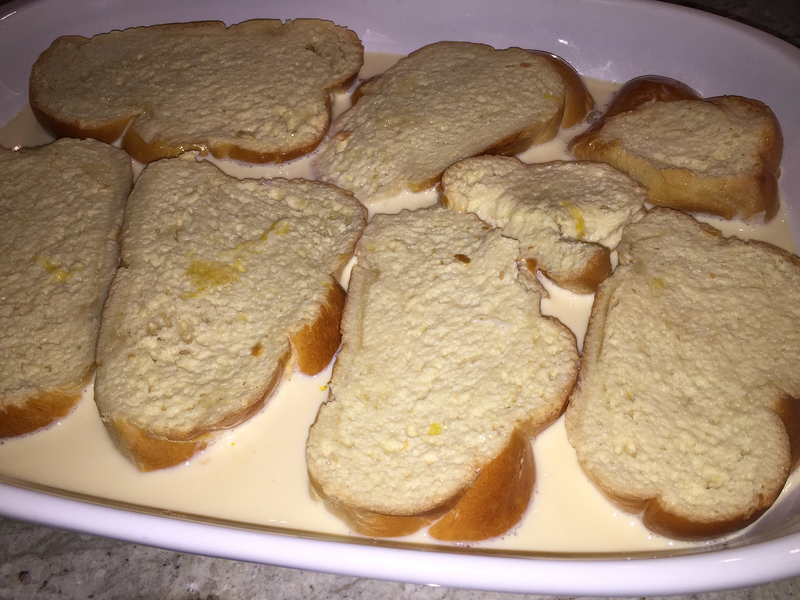 The stale bread slices are positioned over the topping and then the cream mixture is poured all over. 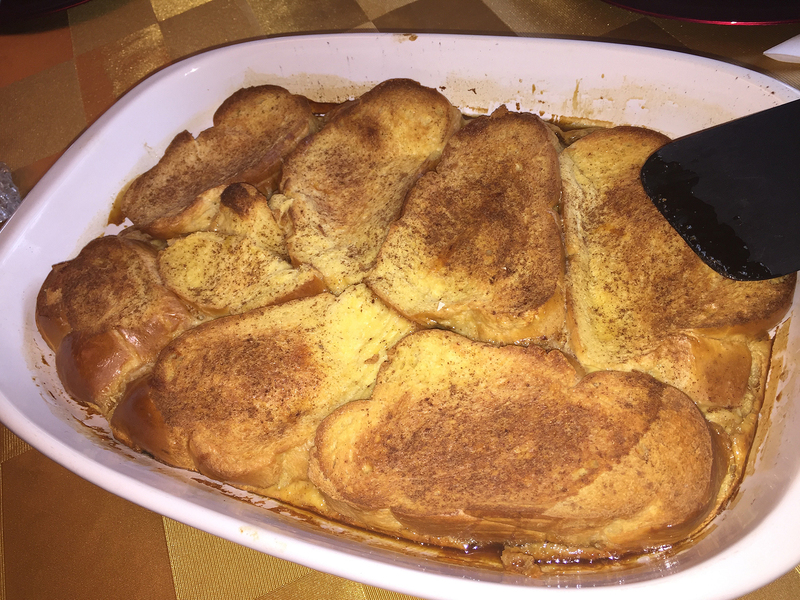 The baked french toast is ready for serving. 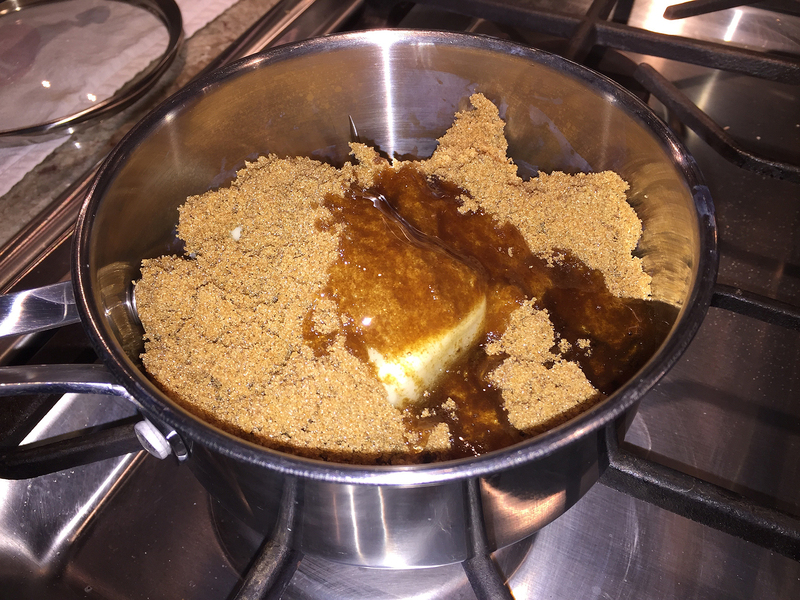 The final step is to flip the bread over onto the plate to reveal the creme brulée topping.